For 5 years, now, we have written about what an exercise in futility the Arkansas Lottery has turned out to be. It pulls hundreds of millions of dollars out of Arkansas’ economy, hurts families, and pays back far too little money in scholarship funding. Lottery officials have reduced the lottery’s budget for scholarships to record-lows for Fiscal Year 2015, citing lagging ticket sales as the reason. If that’s the case, though, then how is it Louisiana’s state lottery has consistently paid out more in education funding than Arkansas despite taking in less money in lottery ticket sales? Synopsis: From the lottery’s inception in September of 2009 to June 30, 2010 (FY2010), Arkansas’ lottery took in almost $9 million more than Louisiana’s in gross revenue, but it spent $50.7 million less on college scholarships than Louisiana’s lottery spent on its education programs. Despite selling fewer lottery tickets, Louisiana’s lottery paid out more money for students than Arkansas. Synopsis: Fiscal Year 2011 wasn’t any better for the Arkansas Lottery. The Louisiana Lottery brought in about $80 million less in gross revenue than Arkansas did, but it put roughly $42 million dollars more toward education. 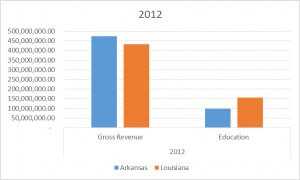 Synopsis: In Fiscal Year 2012 Arkansas’ gross revenue climbed to an all-time high of $473.6 million. It outpaced Louisiana’s lottery by $41 million in sales. 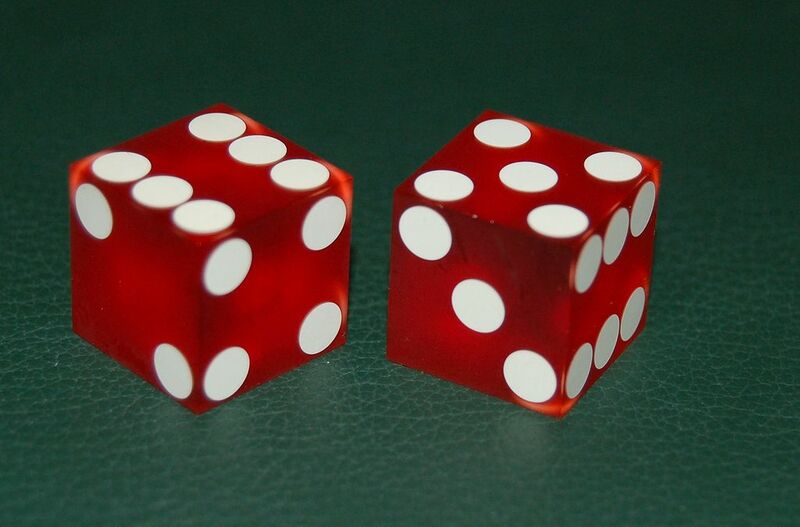 Even so, the Louisiana Lottery paid out $59.4 million more for education than Arkansas did. Synopsis: Fiscal Year 2013 was the first year Louisiana’s lottery ticket sales topped Arkansas’–in part because sales in Arkansas dropped in 2013 as compared to 2012. However, Louisiana only made about $7 million more in gross lottery revenue than Arkansas did; that’s a very narrow margin. Even so, Louisiana paid out nearly $70 million more to the state for education funding than Arkansas did. The Arkansas Scholarship Lottery is supposed to be about sending students to college. If it were possible for the Arkansas Lottery to pay out tens of millions of dollars more in college scholarships, wouldn’t that be something the Arkansas Lottery should do? Somehow that’s exactly what lottery officials are doing in Louisiana. 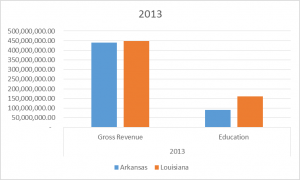 My guess is the reason Louisiana is leaving Arkansas behind on education funding has to do with two things: operating expenses and the percentage of revenue allocated for education. Percent Allocated for Education: The Louisiana Lottery, by law, is required to allocate 35% of its gross revenue for education. We have written over and over again how Arkansas would see college scholarship funding increase if the legislature required something similar. Looking at all lotteries nationwide from 2010 – 2013, the average state lottery turns over about 30% of its gross revenue to the state. 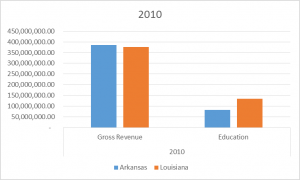 Louisiana is 5% ahead of that national average; Arkansas has consistently been anywhere from 8% – 10% behind the national average, setting aside only about 20% – 22% of its gross revenue for scholarships from 2010 – 2013. Operating Expenses: Looking at just one example, in Fiscal Year 2011 the Arkansas Lottery had operating expenses of over $371 million. By contrast, Louisiana’s operating expenses came to about $249 million; that’s a lot of money, but it’s still $122 million less than what Arkansas spends. As state lotteries go, Arkansas’ operating expenses have been among of the highest in the nation. If a state lottery can keep a tight rein on its expenses, that’s going to help it pay out more money for education. New York Senator Daniel Patrick Moynihan is famed to have said, “Everyone is entitled to his own opinion, but not his own facts.” In the case of state-run lotteries, the facts are unequivocal. Louisiana’s state lottery has consistently paid out more money for education than Arkansas despite taking in millions of dollars less in sales. Now, given a choice between a Louisiana-style lottery and having no lottery at all, I still maintain Arkansas would be better off without a lottery. State lotteries pull money out of the local economy, and they increase problem-gambling and gambling addiction, which hurt families. That said, if the State of Arkansas is going to insist on doing something that is self-destructive–as we believe lotteries are–then the least they can do is try to mitigate the damage as much as possible through efficiency. Clearly there is something wrong with the Arkansas Lottery if other state lotteries can sell fewer lottery tickets, but pay out more money for education. If the State of Arkansas required its lottery to set aside even an average percentage (30%) of lottery revenue to fund scholarships, college students would likely see more money. And if the Lottery Commission would reconsider the Lottery’s operating activities, it could probably find some ways to cut expenses–thereby freeing up more money for college scholarships. *What It Means to “Transfer” Money to the State: Forty-four states have lotteries, right now. Almost every state lottery “transfers” money back to the state for some intended purpose. In most cases, the purpose is education-related. Arkansas earmarks lottery money for state-funded scholarships; Louisiana earmarks its money for K-12 public education. The fact that each state spends its lottery proceeds a little differently has very little bearing on the fact that Louisiana is outperforming Arkansas when it comes to lottery proceeds.